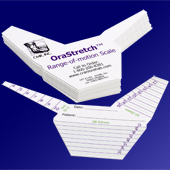 Custom printed OraStretch® Range-of-Motion (ROM) scales with your professional information. 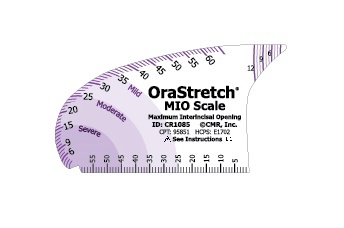 These scales disposable paper measuring scales, specifically designed to allow patients and providers to measure the opening, movement and function of the mouth and jaw. There is an initial set-up fee of $50 for the art and layout of the first order. 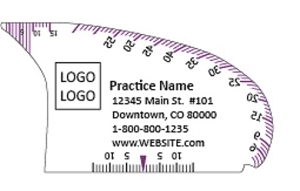 The scales can be custom printed as a business card on one side. For more information and ordering, call us at 1-800-206-8381. 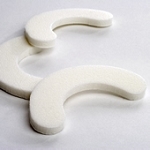 Brand your own ROM scales with the addition of your professional information.